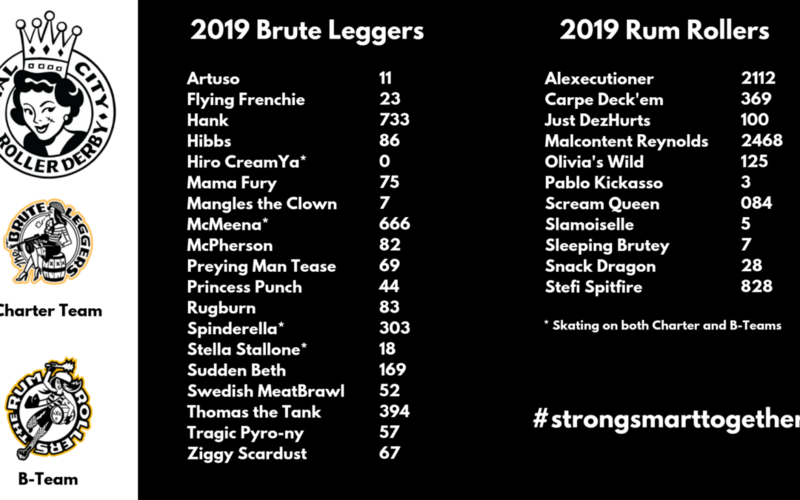 Who’s ready for 2019? These amazing skaters are! 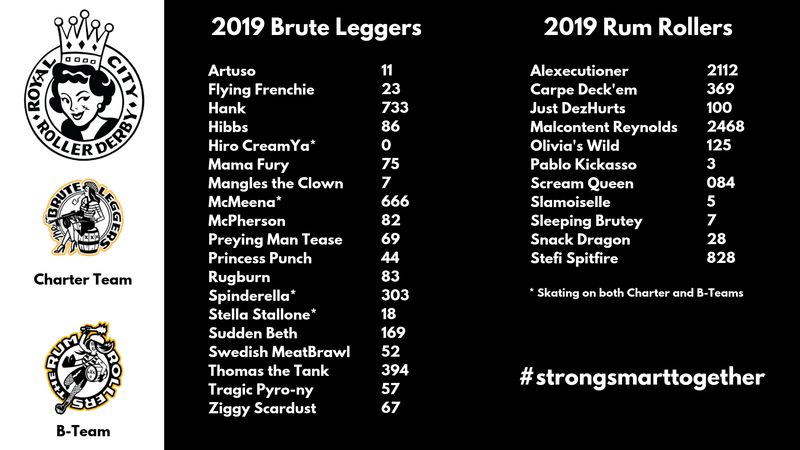 Please join us in welcoming the 2019 Brute Leggers and Rum Rollers who will be representing Royal City Roller Derby internationally. We are #strongsmarttogether! In December, we held our annual holiday party to celebrate all the great things our humans have accomplished. But as always, the highlight was our rookie draft!! 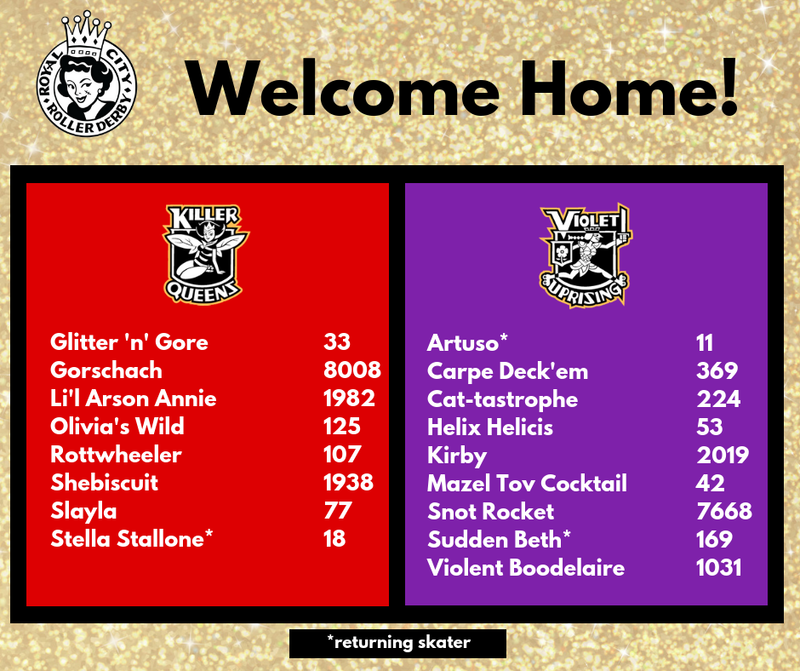 Welcome to your home teams, 2018 OLOP skaters, and hello again to some very special vets! Stay tuned for updates to the schedule of events for the 2019 season and the team rosters which will be published once roster photos are made available.